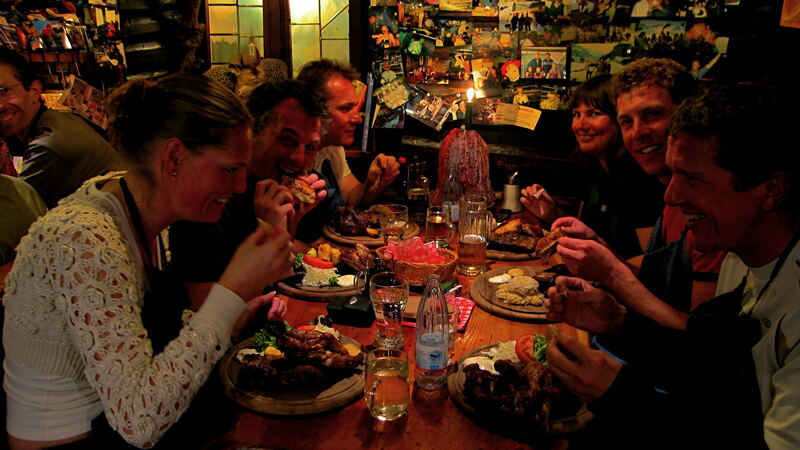 This evening is held every Tuesday in the Alpengasthof Schallerhof and remembers back to the time when the cutlery was not affordable for many people. But today this day stands for humor, fun and enjoyment! Juicy spare ribs, pork knuckles, chicken, "Kiachl", dumplings and other traditional dishes coupled with a pleasant atmosphere which guarantees a memorable evening.